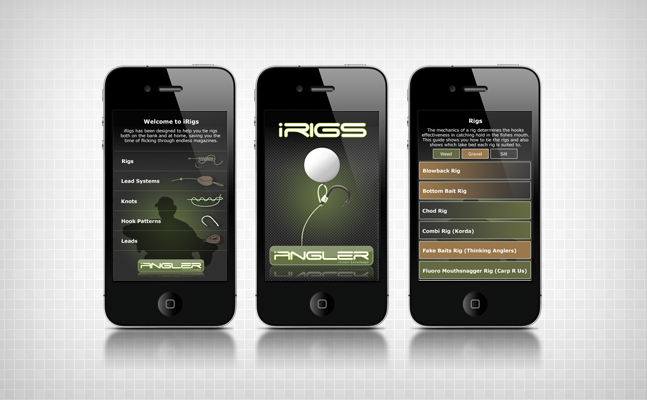 iRigs is a revolutionary new iPhone App designed for the dedicated carp angler and developed by iAngler. It is the first of its kind, bringing carp angling to you on your iPhone and Android Devices, whether that be at home, in the office or on the bank. 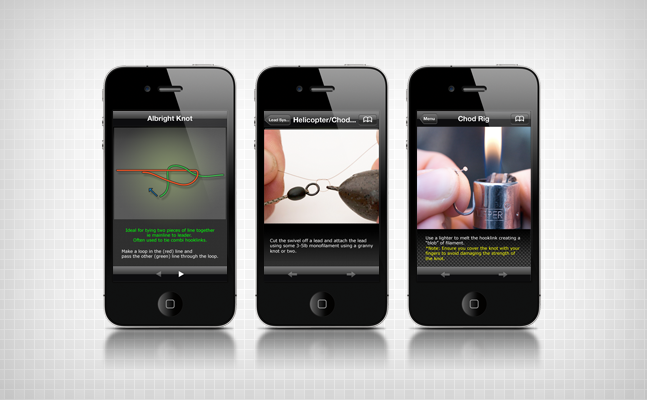 Follow the easy step by step guides and learn how to tie rigs, knots and lead systems. iRigs will also help you choose the right hooks and leads for every fishing situation. Get that extra edge and fish with some of the rigs used by the professionals. This app features rigs from some of the biggest & best companies in the business including ESP, Korda, Shimano, Carp R Us, Thinking Anglers, Gardener and Nash… not to mention some other great rigs from the iAngler team that you won’t of seen in any magazine. All this information, for less than a packet of hooks. The app is in the iTunes and Android store now, for only £2.99.